So many factors can affect fertility. Diet and physical state of health are huge factors. 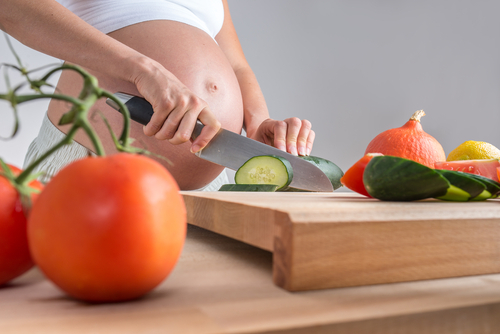 Rising obesity levels, processed foods and environmental toxins may all be contributing to fertility concerns for some couples. Poor eating habits and obesity are closely linked to fertility problems. It’s not just the woman’s diet that’s important here; men need to look closely at their diet too because it can definitely affect conception. While a healthy diet and weight are not the be-all and end-all solution for all couples, taking a close look at what you eat and reducing excess body weight can be a step in the right direction. And don’t be misguided into believing only overweight couples risk infertility. Thin people can be unhealthy too, if they have a diet lacking in nutrition. Unhealthy diets and consumption of processed foods can be linked to difficulties with ovulation and an increased risk of diabetes, miscarriage and hypertension during pregnancy. Eating food that’s as close to nature as possible and untouched by toxins is the healthiest option. Buy foods that are as close to their natural state as possible. Avoid toxic oils and chemicals in foods. Know your cooking oils well. Eat a variety of nutritious foods rather than trying to consume heaps of one type of food because you think it’s good for you! Cut back on the caffeine (although the jury is still out on this one, it’s probably best to avoid it). Drink water as your fluid of choice. It’s not just what you put in your mouth that affects fertility. Look around you. Close your eyes, and smell. What is your environment like? Are you working in a well-ventilated area with lots of plants and fresh air? Are you in a stressful, loud environment? Take a close look and think about how your environment makes you feel. It’s also important to think twice about the chemicals that you expose yourself to every day. Women (generally) are often guilty of exposing themselves to huge amounts of chemicals more often than men. Just think about the amount of chemicals in skin and hair products and make-up for a start. On top of that you should think about the cleaning products used in your home and work environment. All of these could be toxic to your chances of conceiving. Minimise your exposure to chemicals – that’s the chemicals on your skin, and in the air you breathe.